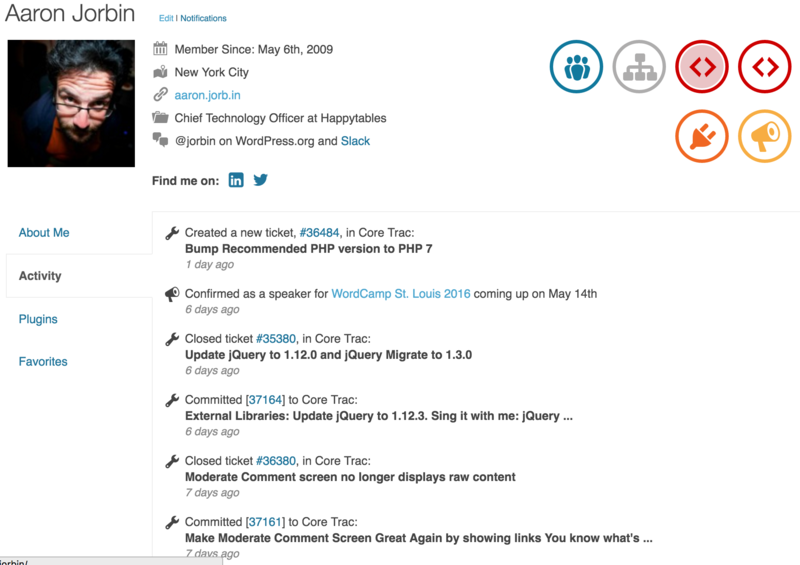 A lot goes on in WordPress Core development that doesn’t make it into the WordPress Profile Activity log. Here is a handful of the things I’ve worked on over the last month to give you an idea of what I have worked on. Many other contributors work on things that also don’t make it into the report, so it’s import to recognize that this screen is far from a good recognition of effort put into WordPress. This isn’t an exhaustive list (I wish I could remember everything). Review drafts to ensure the posts have quality information and wording is clear. Organize sending the email to all plugin authors about 4.5. This is worked on by the Core, Plugins Repo, and Meta teams. Work with Polyglots team to help publicize Global Translation Day. Participate in the first Feature Projects chat. As anyone who has ever worked on a project at scale knows, coding is just a small piece of the puzzle. While the work of WordPress generally happens in the open, it doesn’t always get logged.